Firstly Certified Home Services is an honest and professional business. We are a Family owned and operated business run by Glenn and Vicki with their two sons Jackson and Nicholas with his partner lauren. Specializing in Pest Control, Termite Inspection and Termite Treatment for Residential and Commercial Properties. Additionally we do pre purchase building and pest inspections , Pool inspections Through Certified home Inspections . For the building inspections we use two builders both with over 40 years experience in the building industry . So if you are buying a new home you can book in your building and pest inspection with us. Areas we service Brisbane, Logan, Ipswich and The Gold Coast. And All our Pest Control experts are neat, polite and are happy to explain their treatments before any work is carried out. Not to mention Our goal is to give the best possible Pest control service. Also we guarantee all our work. After all Your Families Safety is paramount and our low toxic applications are safe for your loved ones and pets. Furthermore We understand the eating and breeding characteristics of household pest and treat them accordingly. and while DIY Pest Control maybe enough to treat the odd pest. Also For total peace of mind we recommend an annual pest control treatment. Here's what we can do For You . Effective low toxic Pest Control Treatment which is safe for family and pets.In Fact Live a pest free life with our 12 month Treatment Warranty. 12 month Inspections Warranty. Thermal Camera and Termatrac T3i used on every Termite Inspection. Our proven treatment uses premium grade chemicals such as Termidor which is lox toxic and extremely effective against Termites. Find out which Termite Barrier suits your property and why. Free Onsite Quote to go through your Termite Risk Factor and what it means. One of the most thorough Indoor and Outdoor Flea Treatments on the market. Two Treatment process which breaks the breeding cycle. Effective End Of Lease Pest Treatment which includes Fleas. Fast turn around and your Pest Certificate emailed same day. Our Ant Treatment will fix your foraging Ant issues and protect your house. Stop these crawling insects bringing germs and diseases into your home. Treat Rodents (Mice & Rats) that squirm their way into your home. These guys can do considerable damage which includes dangerous electrical wiring. Safe and Effective Bee Treatment. Fast same day call out by a licensed Pest Controller. Potential Bee collection service available for Native Bees. Forget dangerous DIY Wasp Treatments. Let us take the sting away with our fast acting treatment. Protect your family and pets from nasty stings. A professional pest treatment is needed to correctly treat German Cockroaches. Guaranteed results. not to mention the treatments are safe for your family and pets. Furthermore Our Pest Control Brisbane experts only use modern Pest Treatment techniques. Also Having up to date training means we use a targeted approach to Pests and Termites. In fact There has been great advancements in chemical technology. Also this leads to highly effective low toxic and low odour treatment. In Fact Gone are the days to coming home to drenched carpets. and horrible smelling odours from a Pest Spray. 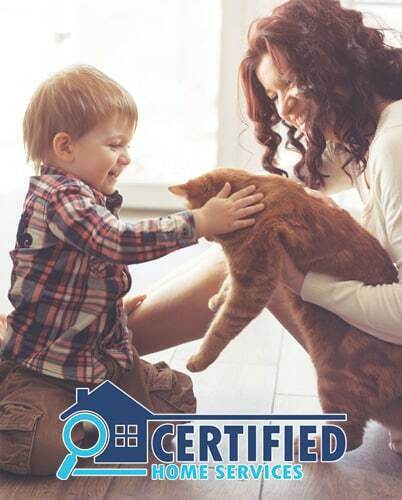 After all, Our Pest Control Treatments are safe for families and pets. which gives our customers peace of mind. Also We get the job done right! In fact all our Pest Control Services are backed by our 12 Month Warranty. Which means if the bugs keep coming back so do we at no extra charge. Additionally we do this by solving your pest problems. in a safe. cost-effective. and environmentally conscious manner. Also Everyone has different needs. and we do our very best to match our level of service to your individual needs. Furthermore Only our senior (Termite Inspection Brisbane) Inspectors carry out each Termite Inspection. And We offer one of the most thorough Termite Inspections in Brisbane. In fact we use state-of-the-art equipment.Furthermore this includes a Thermal Imaging Camera, Termatrac T3i and Moisture Meter. All in all Each Brisbane Termite Inspector has completed 1000's of inspections. also he understands Termite (White Ant) feeding and breeding characteristics. This is important when trying to locate a Termite Nest. Also We are also licensed to carry out Termite Treatments. and install Termite Management Systems (Termite Barrier) to protect your home for years to come. In Fact we are Termidor Accredited installers. Additionally when you get your barrier installed with Termidor you are eligible for the 2 million dollar warranty. In fact To keep on top of Household Pests and Termites we strongly recommend an Annual Pest Control Service. (Pest Treatment and Termite Inspection). After all if you do it Annually this breaks the insect breeding cycle. In addition If Termites are found within 12 months of the previous Termite Inspection. then chances are the damage is only going to be superficial. Also Failing to do Termite Inspections leads to Expensive Termite Damage. Also This allows the Termite Nest to grow into a mature colony which can cause major damage. In fact We align ourselves with Queensland Health's Guidelines to best Pest Management. To Contact our Expert Pest Control Brisbane Team call. Give Vicki Or Lauren a call on 1300077133. or 07 32008586 To arrange a speedy Pest Control or Termite Inspection appointment time.